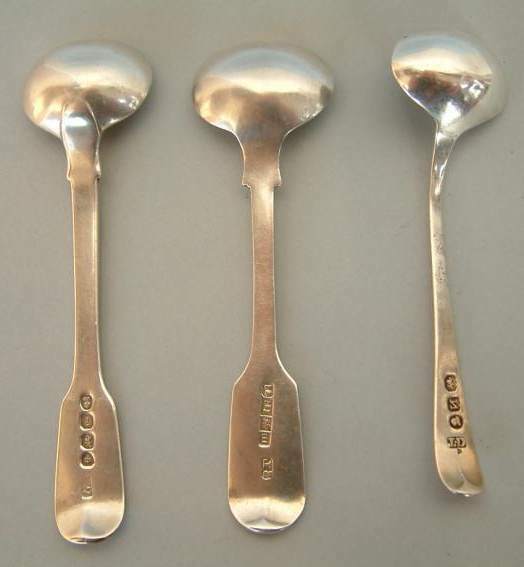 these are three Georgian silver salt spoons manufactured during the reigns of George III and George IV. 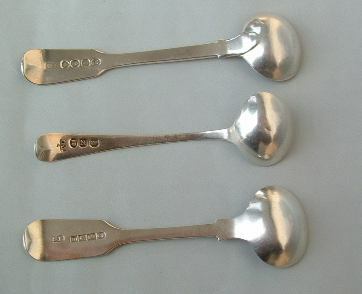 Every spoon has ladle shaped bowl, two with fiddlethread handle. They are fully hallmarked, one lacking City of London mark. 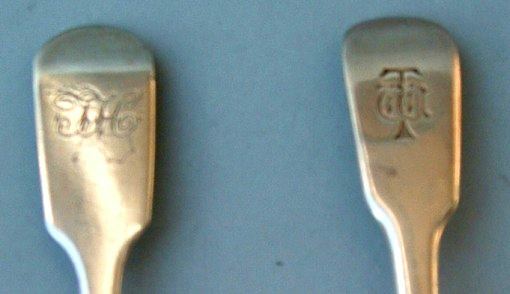 The handles are engraved with monograms. 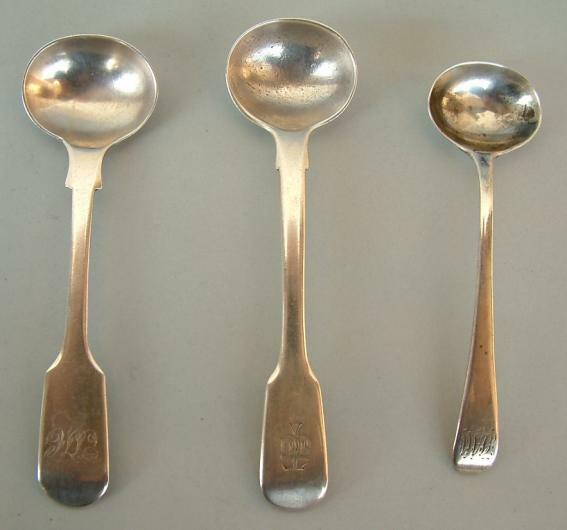 The spoons are 10 in. (cm. 10) high and were bought from Italian dealers at Antique Markets.